All that glitters is gold. 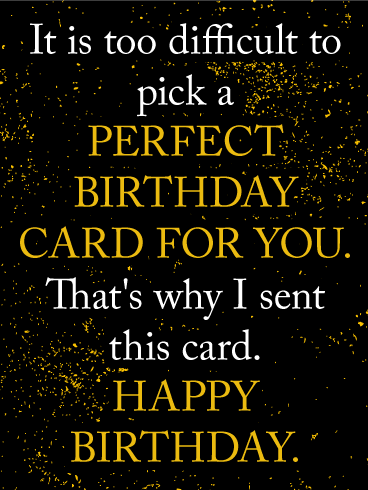 This birthday card shimmers in luxurious 24 karat hues. 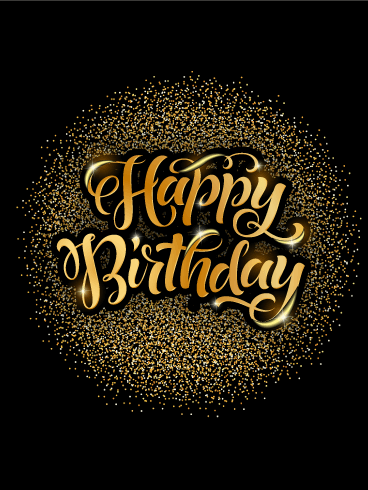 Golden lights against a midnight sky make for a classy birthday card that is simply irresistible. 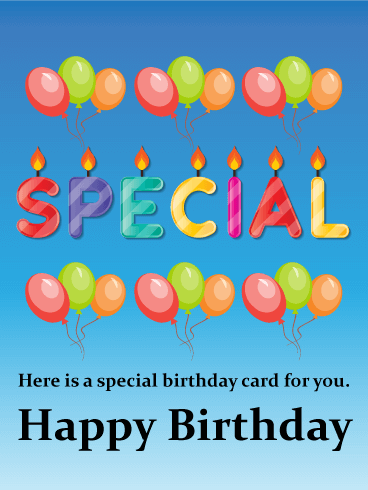 Send this deluxe birthday card to someone you think really shines, and wish them an unforgettable birthday celebration. Pour a glass of Merlot, and make a birthday toast! It's not the years in your life that count, but the life in your years. This rich, robust and medium-bodied funny birthday card sounds like a fine wine. Enjoy it! 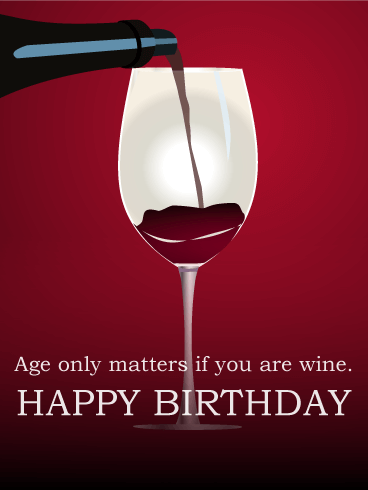 Send a birthday wish to the wine-lover in your life. The right birthday card is hard to find and can be exhausting work. That's why we made this funny birthday card. Ta-da! This birthday card shoots straight and true while it says it all. Send it now to the friend who gets you, and can use a laugh. Say it like it is! 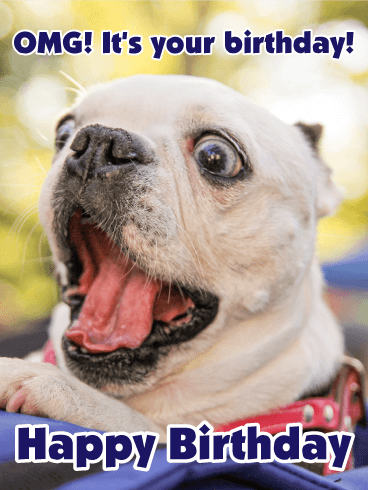 Wish someone a happy birthday with a funny card that will make them laugh. Radical rainbows, shooting stars, and humorous honesty! What more could you want in a birthday card? I see you smirking over there. 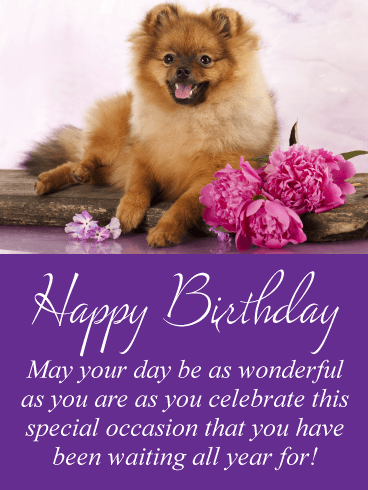 Send this funny birthday card now! Light the candles and make a wish for a truly special birthday! This tender birthday card is flooded with warm candlelight, and reminds the receiver to hope and wish for all good things in the year to come. 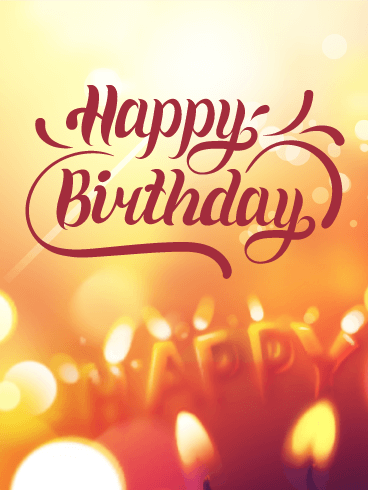 Send this heartwarming and beautiful birthday card to someone special. Shut the front door! You're HOW old? 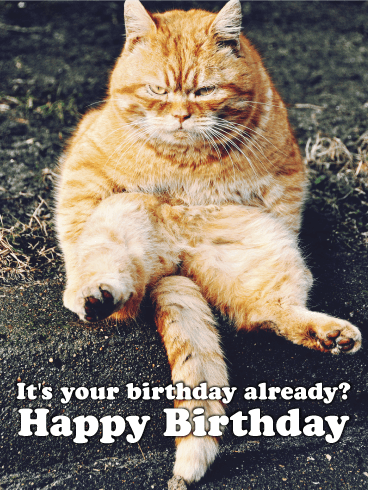 Send this funny birthday card to a good friend. 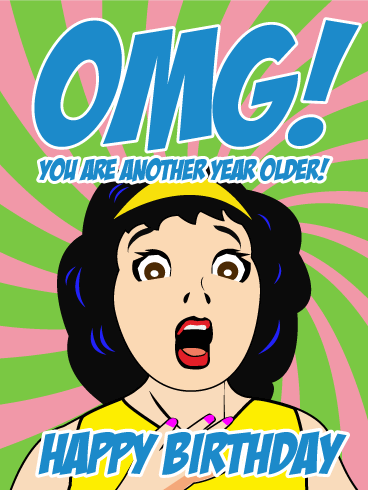 This psychedelic birthday card lets them know you are both shocked and amazed at their advance in years. It's sure to get a giggle. Maybe even a guffaw. Party on! 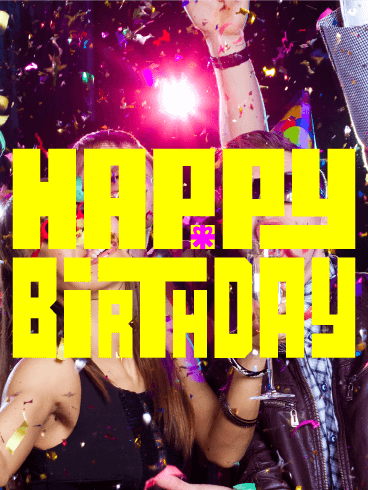 Raise the roof and ignite the night with this rockin' birthday card. 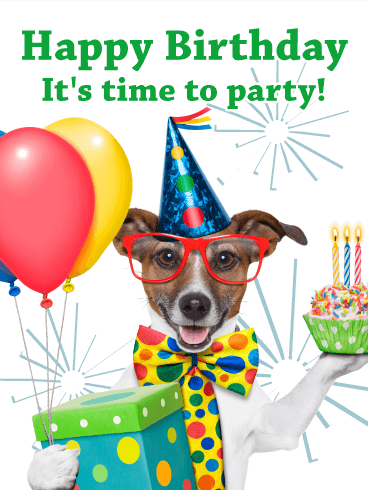 There's just one rule for this awesome birthday bash - bring your own party hat! 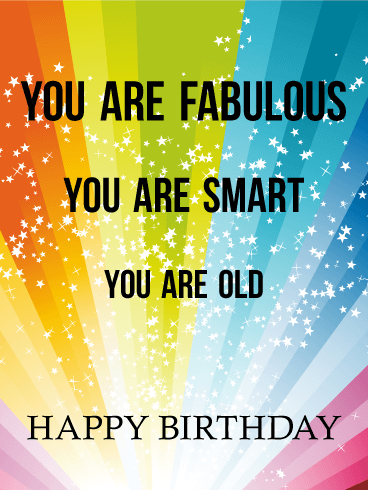 Birthdays are a perfect time to let loose and have fun, and this birthday card says so! Here it is! 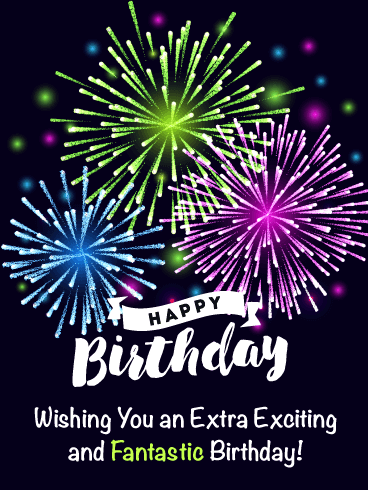 The special funny birthday card you have been waiting for! Isn't it fantastic? Send a silly birthday card to a fun friend who doesn't take life too seriously. If birthday balloons aren't enough to brighten someone's day, this tongue-in-cheek funny birthday card is sure to do the trick.